Jokes Please! 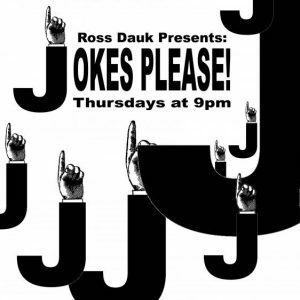 is an award-winning stand-up comedy show hosted by Ross Dauk that happens every Thursday at Little Mountain Gallery. For 5 years Jokes Please! has featured hilarious comedians performing in a friendly, indie theatre to big laughs. It’s very fun! Doors at 8:30pm.